Everyone should start with this Spell in BECMI, and it should be useful in some way. I tend to fold it into to Detect Magic. So as a Spell Feature: While this spell is prepared, you may spend 1 turn to Detect Magic. Simple, and it makes the spell perform a bit of a double duty, enhancing it's appeal somewhat. Also every Magic-User may choose to start with 1d6 vials of Scroll Ink. This ink cuts the cost of scribing a scroll in half, or it may be drunk by the very desperate. If you dare drink, save versus poison or die in 1d6 hours, castings of Neutralize Poison will only stave off death by an 1d6 additional hours and do not offer additional saving throws, additional quaffs of ink require another save, but will also reset the duration to another throw of 1d6 hours. Only a Wish or similar high order magics can prevent death in this fashion. Upon consuming Scroll Ink, you may re-prepare all your spells in 1d6 turns without the need for rest. Spells prepared this way leave your spell book and must be re-transcribed before they can be prepared again. 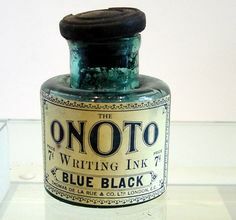 The drawbacks and benefits of Scroll Ink usually only apply to the user who created the ink, although you are welcome to try and poison other Magic-Users with your ink. You are assumed to be casually collecting and briefly brewing the necessary reagents for HLSS vial(s) of Scroll Ink per level, but coming across a hogshead of Kraken Blue, a few gills of Gorgon Green, or a dram of Dragon's Blood during one's adventuring might stimulate this manufacture. 1. Heraldic Gift – You have a knack or extensive learning concerning Heraldry. You can easily identify major noble houses and lineages (+1 reaction when dealing with those that are into this sort of thing), you can also design your own device by spending 1d6 hours of meticulous artistry. Any creature/monster featured in your personal device receives a penalty to save against your spells (-2 or Disadvantage). You may only redesign your device after slaying one of these creatures, at which time you may incorporate a “new one.” It seems only natural that your new heraldic device should feature an image of a dead “old one” prominently. Mortant? Mourant? Their shield provides a saving throw versus Magic Missile (good for HLSS missiles). This casting temporarily creates a physical Shield+1 that lasts for the normal spell Duration. 3. Dagger Feature: Spell-warded Kris – As long as you have this spell prepared, you may choose a specific spell of a level equal to or less than your HLSS. You are immune to the first casting of this spell that you are targeted with. You cannot cast the specified spell while this feature is active. 4. Elemental Ward – You know of a secret technique for channeling this spell into small temporary talismans. Given 1d6 hours, 25 gold in materials, and a casting of this spell, you can construct a tiny charm that will protect a bearer against a specific elemental type of damage (preventing your HLSS x 5 in damage for a single attack, or granting Advantage on saves). The magic that powers these talismans is expended when used to protect against the first attack of the elemental type, otherwise it lasts for 1d6 weeks before dissipating. Fire Wards will warm gloves in winter, an Ice Talisman will quickly chill a pint of ale, etc. 5. Spell Book Feature: Defending – As long as you have this spell prepared and your Spell Book out and open, facing a casting foe, a successful saving throw versus a spell captures the spell in your spell book. You must have free pages (spells typically take 1 page per level in my games). You may only capture spells with levels up to your HLSS. The spell may be cast back at the caster as a riposte on your subsequent actions, otherwise it fades in 1d6 rounds (woefully inadequate time for transcribing it). You may also expend this spell immediately after being targeted by a spell to capture a spell permanently (no save required) in your book, but a randomly determined spell of the same level leaves your book and enters the mind of your opponent. 6. Familiar: Turtle – Any familiar you acquire is exceptionally hard to hit or damage (AC = at least chain, or 2 better if naturally lower). Selfless to a fault, your familiar can be sacrificed (as in Shields May Be Splintered), but the process kills the familiar and is detrimental to your health. The gnawing sense of loss reduces your base speed by 10' feet for 1d6 weeks, after which you can acquire a new familiar and eliminate this movement penalty.